A vividly imagined chronicle of love, hatred, and revenge at a time when the Vikings were exploring to new worlds, Judith Lindbergh's spectacular debut novel takes its inspiration from Old Norse Sagas and creates the riveting story of a beautiful slave, her ill- begotten daughter, and their maligned but powerful mistress. Lindbergh spent the last ten years researching and writing "The Thrall's Tale." This monumental work, illustrated with maps and accompanied by historical notes, will surely appeal to readers of Norse history and sagas as well as to fans of great historical fiction like Anita Diamant's "The Red Tent" and Sena Jeter Naslund's "Ahab's Wife." "Every once in a while, a writer creates a novel that opens our eyes to a lost world. Arthur Golden achieved this with "Memoirs of a Geisha," and now Judith Lindbergh has performed a similar feat...Gripping and wholly original...a story that transports through time and place, but always remains anchored in the unchanging territory of the human heart." -Geraldine Brooks, author of "Year of Wonders"
""The Thrall's Tale" is not only a wonderfully rich historical novel, it resonates strongly into our current age with its exploration of religion-driven cultures in collision. The voices of the story are pitch-perfectly convincing...Judith Lindbergh is a greatly gifted novelist and she has created an enchanted and provocative reading experience." "Lindbergh is a master storyteller, deftly weaving meticulously researched detail with unforgettable characters. This novel satisfies on every level ...The plot unfolds with the suspense of a thriller, and you'll stay up all night to follow the many transformations of Katla's life. 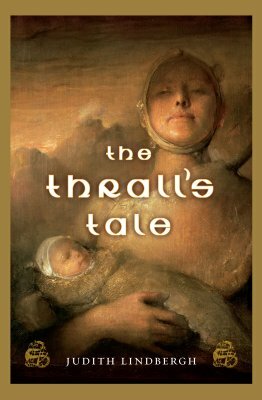 With The Thrall's Tale, Judith Lindbergh emerges as one of the finest historical novelists in recent years." -Jonis Agee, author of "The Weight of Dreams"